The way you start your day will absolutely impact how you move through the rest of your day. In fact, there is research to prove it. If you walk into the office in a bad mood, the data shows that the rest of your day (and how you engage with the world around you) will be impacted by the bumpy start you had. If it starts badly, it tends to carry on badly. Are you one of those Snooze Button Addicts who hits the snooze button as though you’re on Sale Of The Century and you have the winning answer? And then go on to hit it another 5 times??? Maybe it’s more that to get yourself going you drink five cups of coffee and eat food that has no nutritional value? Possibly, you are one of those people who sits in traffic while commuting to work. You continually moan and groan about how terrible every other person on the road is, all the time fuelling a sense of anger as you drive. Imagine starting the day from a place of clarity, calmness, excitement and nourishment. If, after reading that sentence, the voice in your head is shouting YES, then you can probably assume that your current morning rituals are not quite hitting the spot. 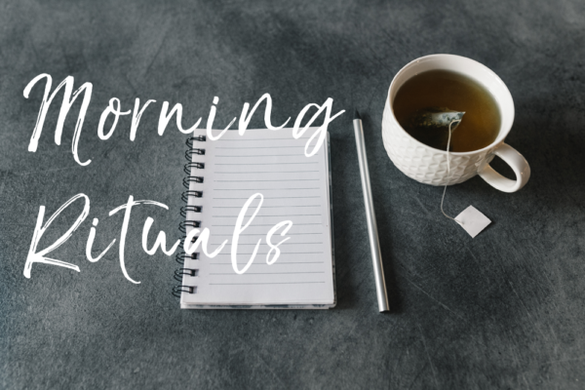 There are tonnes of awesome books on morning rituals: The Miracle Morning by Hal Elrod, What Most Successful People do Before Breakfast by Laura Vanderkam, and My Morning Routine by Benjamin Spall and Michael Xander just to name a few. There are many different suggestions in these books and in others I have read too. On top of that, there is again more data on what successful people do to start their days. If you are a high-achiever, I’m sure you would be curious to see how other high-achievers hit the ground running with a full tank everymorning! Firstly, as soon as I wake up (normally by an alarm which plays soft music) I lay there for one minute and just allow my body to fully become more awake. No phone, no light, and no conversation for one minute. I stretch, gently move my limbs, rub my eyes, and settle in to the beginning of a new day. This sounds incredibly simple and yet it works incredibly well for me. I have spent many a morning in the past leaping straight out of bed (after jolting awake to a screeching alarm)and bolting into the shower. I eventually noticed that this set me up for the day with a very frantic energy and that I’d rush through it without being present. One minute works well. It is not too long that I want to go back to sleep, but it is long enough for me to be present to the new day starting. Secondly, I sit upright and think of three things that I’m grateful for in my life right now and say them aloud to myself. 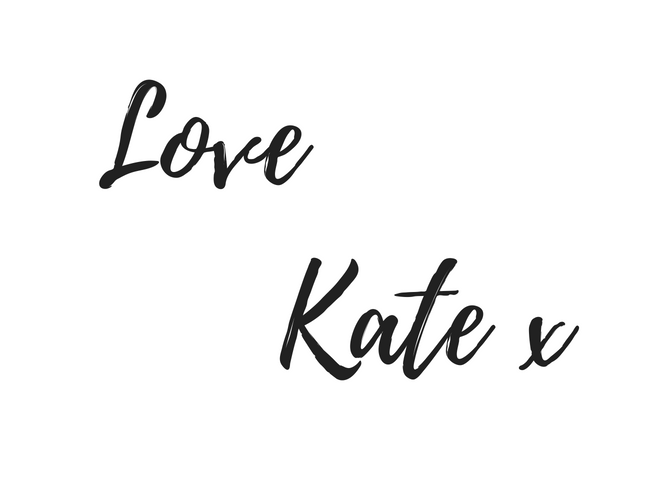 I don’t write them at this stage (with the idea of keeping my morning ritual as simple and easy as possible) but at night time I write in my gratitude journal. Gratitude is one of the most powerful emotions we can experience. It has a profound impact on our health and vitality as well as our ability to be resilient and happy. By starting the day with some reflection on all the things I have to be grateful for, I am setting both my mind and my body up for a great day. Lastly, I drink water. As soon as I am up, I drink a monster glass of the best quality water there is on the planet, KangenWater. My body has been cleaning, building, restoring and replenishing overnight, so when I wake up the first thing I want to do is give it some high quality water to flush out the build-up that has accumulated (if you would like more information on Kangen water, drop me an email and I will send some through to you). Sometimes I’ll put some lemon or lime in the water – or in the colder months I will drink it warm by mixing it with hot water from the kettle. It’s funny: I have been doing this for such a long time that when my body wakes up it is automatically longing for its big glass of water to start the day. I absolutely love it!! So as you can see, morning rituals don’t have to be time–consuming or challenging. Add some other things to these super–simple rituals and build a plan that works for you. Some other beautiful practises that can be included in your morning rituals are things like exercise (yoga, stretching, running, walking), meditation, journalling, reading 10 to 30 minutes of a book that grows you, breakfast around the table with the family, eating nourishing food, a spiritual practise such as the Ho’opono’pono or a Gratitude Kata, getting out into nature, or spending time with family members and/or animals. Remember, the way we start the day is how we move throughout the day. Be kind to yourself and create even more ways to have pleasure in your life.